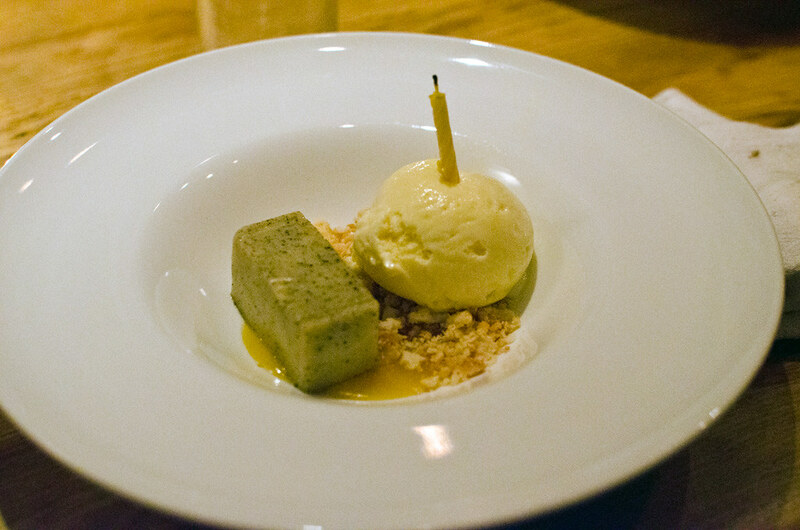 I first met chef Dave Santos after eating at a vegetarian City Grit dinner he cooked. I ended up meeting with him at his Roosevelt Island home, where he was hosting Um Segredo — a secret supper club. Next he invited me to be a guest at one of those Um Segredo dinners, this time in Brooklyn. At that time he mentioned he was working on opening his own restaurant, focused mainly on small plates and where he could explore the cuisine of his Portuguese heritage, made with seasonal ingredients. That place turned out to be Louro, and my friends joined me there for my birthday last month. Chef Santos is planning to re-work the menu every six weeks or so, making changes to a few dishes at a time, depending on what’s seasonal. On the night of our visit we had some great food, all of it ideal for sharing. 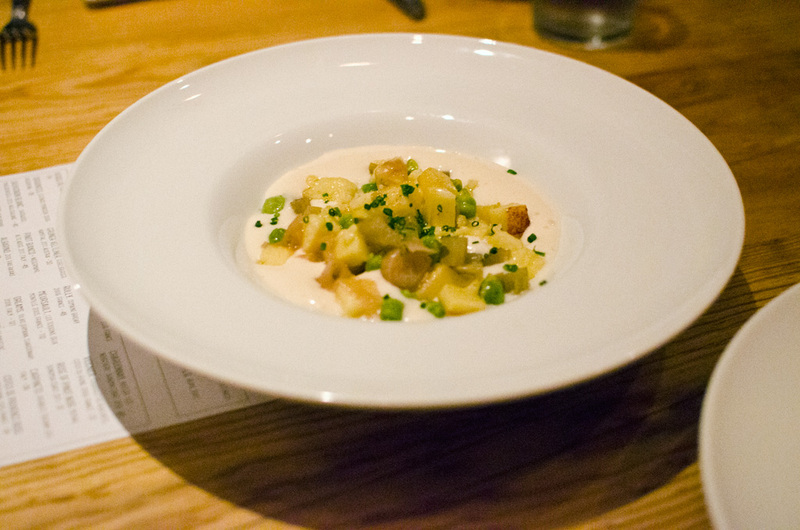 Highlights included the pickled quail eggs that garnished the artichoke salad; a pile of perfectly roasted porcini mushroom; sugar snap peas with horseradish; and small, pillowy gnocchi. (Chef Santos sent us a few extra dishes on the house, knowing that I was in the dining room.) The cocktail menu is similarly inventive, including a wonderful drink called the Necromancer. My friend Eva pointed out the innovative cooking happening in the kitchen at Louro. I’ve written before about how nice it is to have restaurants that don’t fall into the same French, Italian, or even Spanish categories we’re used to. With one notable exception, Portuguese food isn’t much represented in the NYC restaurant food scene. Louro goes a long way to remedying that. It’s not cheap, but it’s a great place to have fun and celebrate. Market Watch: Cherries Are Here!